Is Etsy Inc (NASDAQ:ETSY) A Good Stock To Buy? Etsy Inc (NASDAQ:ETSY) shareholders have witnessed a large increase in enthusiasm from smart money lately. ETSY was in 21 hedge funds’ portfolios at the end of the third quarter of 2016. There were 16 hedge funds in our database with ETSY holdings at the end of the previous quarter. At the end of this article we will also compare Etsy to other stocks including Apollo Commercial Real Est. 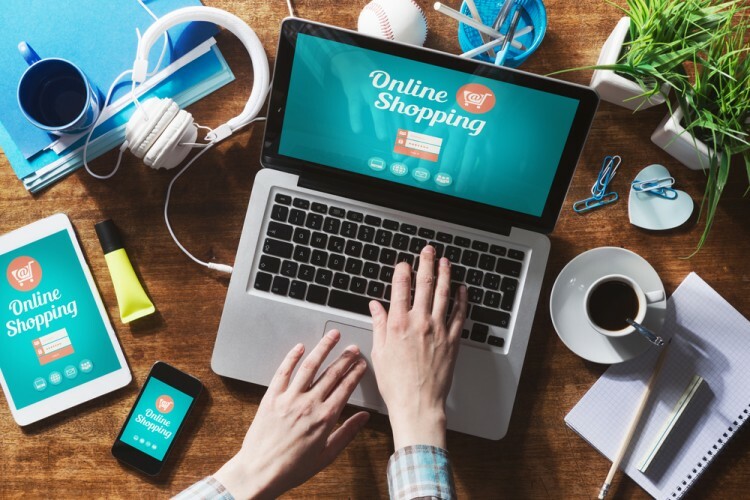 Finance Inc (NYSE:ARI), Cubic Corporation (NYSE:CUB), and Union First Market Bankshares Corp. (NASDAQ:UBSH) to get a better sense of its popularity. Keeping this in mind, let’s take a glance at the recent action encompassing Etsy Inc (NASDAQ:ETSY). Heading into the fourth quarter of 2016, a total of 21 of the hedge funds tracked by Insider Monkey were long this stock, a change of 31% from the second quarter of 2016. 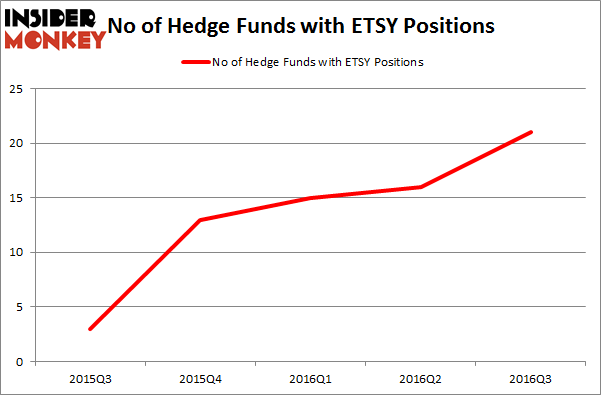 This is also the highest level of hedge fund popularity achieved by Etsy over the past 5 quarters. With hedgies’ sentiment swirling, there exists an “upper tier” of noteworthy hedge fund managers who were boosting their holdings meaningfully (or already accumulated large positions). Of the funds tracked by Insider Monkey, Chase Coleman’s Tiger Global Management LLC has the biggest position in Etsy Inc (NASDAQ:ETSY), worth close to $147.3 million, comprising 2.1% of its total 13F portfolio. Sitting at the No. 2 spot is Renaissance Technologies, led by Jim Simons, holding a $54.2 million position; the fund has 0.1% of its 13F portfolio invested in the stock. Some other professional money managers that are bullish comprise D. E. Shaw’s D E Shaw, Robert Karr’s Joho Capital and John Paulson’s Paulson & Co.